Shelley has lived in Gig Harbor for more than 20 years and resides with her husband and two boys. She has practiced dental hygiene for over 25 years and loves her work, especially building relationships with her patients. In her free time, Shelley enjoys watching her boys play sports, traveling, and spending time with family and friends. Christi Graduated from Clark College with a degree in Dental Hygiene in 2004. She joined the Green Family Dental team in February 2017. Christi has a true passion for dental hygiene and enjoys supporting progress and positive changes in her patient's oral health. Christi spends her free time with her two boys and enjoys scrapbooking and hiking at Mt Rainier. 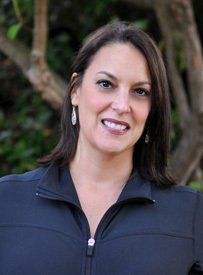 Monica graduated from Oregon Health Sciences University and has been a dental hygienist for almost 20 years. She loves meeting new people and helping to enable them to smile with confidence. 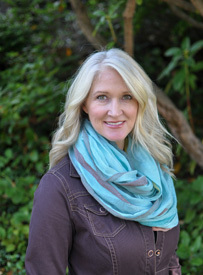 Monica grew up in Gig Harbor and loves outdoor adventures with her husband and two children. They enjoy hiking, snowshoeing, skiing, diving and seeing the Pacific Northwest sights. Lu has been with Green Family Dental since 2010, but has been a dental assistant since 1992 when she graduated from Bates Technical College. Lu is originally from this area, growing up with a love of horses, both showing and trail riding. Her favorite part of being an assistant is seeing a patient progress through treatment until their goals and visions come true. When she is not at work she enjoys cooking and travel. Dasha graduated from the Dental Assisting Program at Renton Technical College in 2016. We were lucky to have her come to our office one day as a fill in and we liked her so much that we offered her a full time position! Dasha was born in Ukraine and raised in Tacoma. She speaks fluent Russian, is recently married, loves traveling and is active in her church. Her favorite part of her job is seeing how happy patients are after we make a transformational change in their health and smile. Clorice has been in the dental field for 10 years, both as an assistant and now as our financial coordinator. She and her husband both grew up in Tacoma and are glad to still live close to their families. Clorice enjoys cooking, working out, watching movies and loves to karaoke!